Dr. Wages utilizes Active Release Technique (ART) in her patient care. Active Release Technique is a special soft tissue technique that treats a multitude of conditions in the spine and extremities. She uses this to help further improve conditions. In her spare time, you can find Dr. Wages having a family night at home playing games and watching movies. You can read more about Dr. Wages experience below, or schedule an appointment with her at our Weaubleau clinic. Visit our partners page to see a complete (and growing) list of community partners. Native to: I’m from a small town in Southeast Missouri, Ellsinore where I grew up spending most of my time playing basketball and softball. I also played two years of collegiate softball and participated in many National tournaments. First job: I worked for my Dad, who owned his own business making yard-ornament windmills that are sold at Flowerama nationwide. I had suffered a lot of injuries as an young athlete growing up. 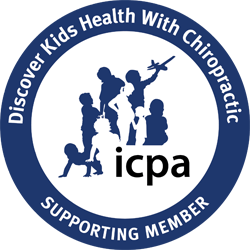 I was lucky enough to have parents that allowed me to receive Chiropractic care and PT regularly throughout junior high and high school! I had a shoulder injury that could have prevented me from playing in college, but because of the care I received… I was able to play softball for 2 years in college without any trouble! I always knew I wanted the opportunity to work with athletes, which lead me to leaning towards Physical Therapy. After a visit to Logan, I met a Chiropractic clinician that had worked at the Olympics! That made me realize that they were combining the Rehab and Performance side of PT and combining it with Chiropractic. They got to have a hand in everything from Acute pain treatment to Rehab and Performance care! That was when I made my decision to become a Chiropractor. What’s The One Problem You Are Best At Solving For Patients? Soft tissue problems that are affecting joint mobility. 100%! Because I am able to use Active Release Technique along with my other therapies and treatments, I feel that I yield really great results with this combination! I enjoy spending time with my husband, Kevin and our daughter Kyler. In the summers, I spend a lot of time on Current River with my close friends. Getting to get out of the city and go back home to God’s country is one of my favorite things to do. I also spend a lot of time doing handmade projects and building furniture. If you could posses one super-hero power, what would it be? Teleportation. Hands down! In a split second I could be anywhere? How exciting would that be?! What do you love most about the Ozarks? I love that I can be so close to so much Nature! We love going to Branson to enjoy the sights of Table Rock Lake. I’m also not too far from home, where I can go spend time at Current River! If you weren’t a doctor, what job would you be doing? I would own a home decor business and spend time making handmade signage and furniture! A Bend in the Road by Nicholas Sparks.